No other fields than email and your name are nescessary. Having your email address helps us giving you eventual support if anything goes wrong. We are not sending any unrelated messages. 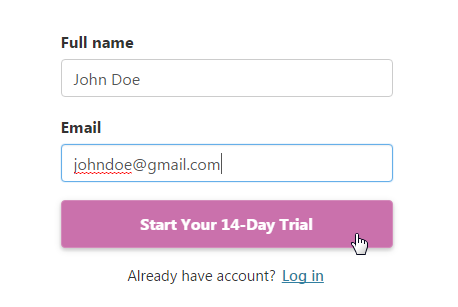 After registration you are redirected straight to Dashboard where you can add your first Data source and start using Feedu.io. 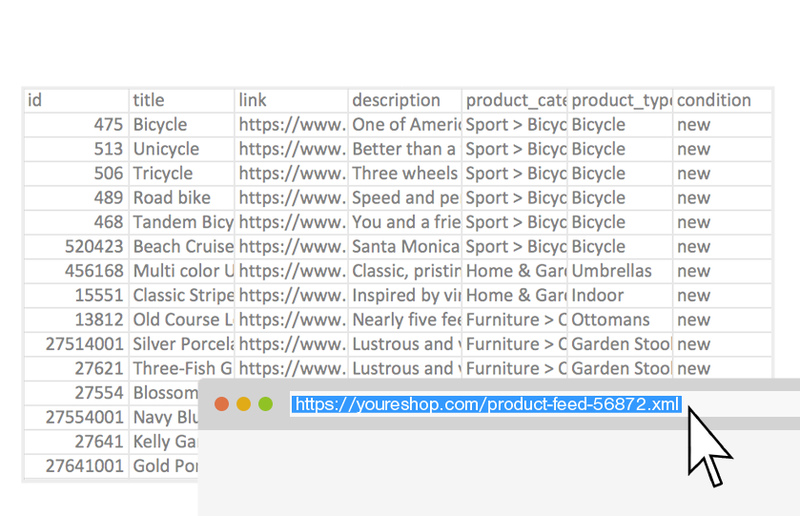 Product catalog is data source that contains information about your eshop products and is usually in .XML format, hosted on Eshop's server. Contact your developer to obtain your Product Feed link, or - if you are already running dynamic ads campaign on Facebook, you will find the link there. You should know that our supported feed formats are Atom XLM and RSS XML. See Facebook Docs to get more information. For individual help, contact us. Dont have product feed link and want to try Feedu.io functions anyway? Use our placeholder product feed. You can create multiple Ad templates with different dimensions and style for each Feed. In template editor, you can select one of prepared templates or make your own custom template. 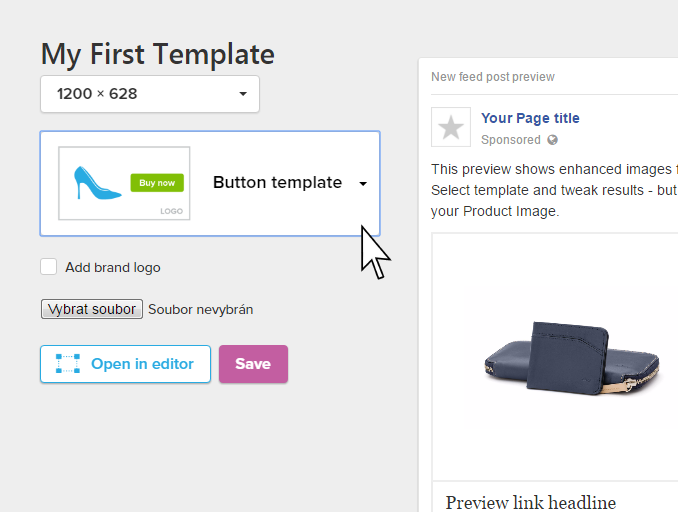 Copy your Ad Template link and use it in your Product Catalog on actual campaign inside Facebook Business manager. All Feed images are processed and automatically updated & synchronized with your original feed every day.